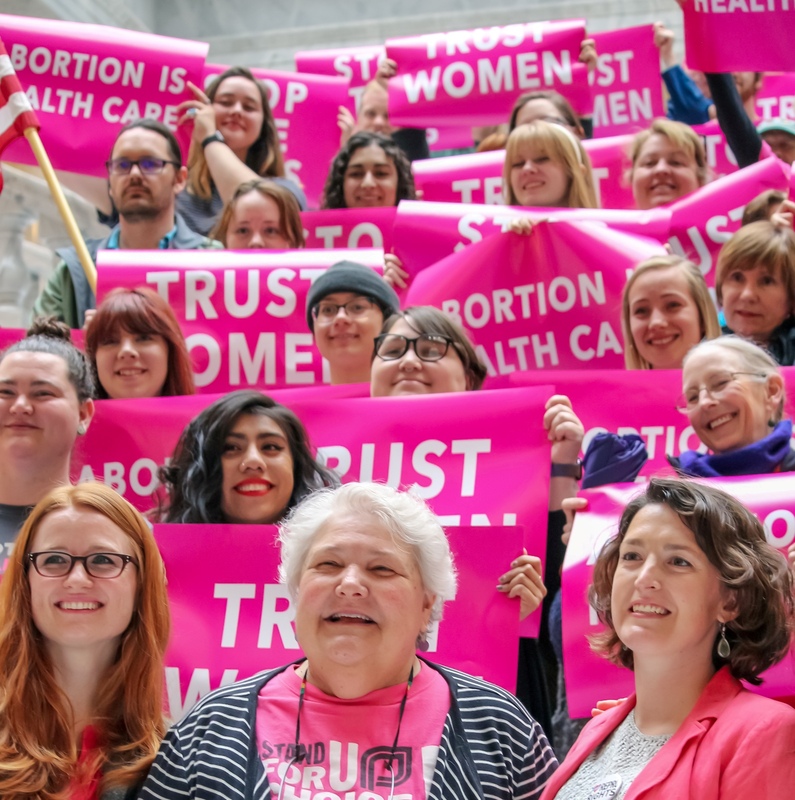 On Wednesday, April 10, 2019, Planned Parenthood Association of Utah (PPAU) and the ACLU of Utah Federation (ACLU of Utah) filed a lawsuit to stop H.B. 136, a harmful law that bans abortion after 18 weeks. Despite public opposition, the Utah legislature passed this bill and Governor Herbert signed it into law. This is one of more than 260 abortion restrictions moving through states nationwide, half of which are bans on abortion like Utah’s 18-week ban. The lawsuit was filed in federal district court and seeks a preliminary injunction to stop H.B. 136 from taking effect. Without the injunction, the law will go into effect on May 14, 2019. The motion requests that the judge rule before that date to ensure Utahns seeking abortion will continue to have access to the care they need. The ACLU of Utah and Planned Parenthood Association of Utah announced the lawsuit at a press conference at the Utah State Capitol on Wednesday, April 10 surrounded by supporters. Laws that ban abortion clearly violate a person’s constitutionally protected right to an abortion. The U.S. Supreme Court has held for over 40 years that a woman has the right to control her own body, life, and future. When the Utah Legislature passed a law in the early 1990s to ban abortions after 22 weeks gestation, the U.S. Court of Appeals for the Tenth Circuit ruled it was unconstitutional. The 18-week ban also adds to the long list of restrictive abortion policies that legislators have already enacted in Utah. For example, Utah already forces people seeking abortion to complete a state-mandated online module and a consultation session designed to discourage people from seeking abortion services, and then wait 72 hours before receiving abortion care. Regardless of a woman’s reasons for seeking an abortion, our response is the same: PPAU is committed to providing high-quality, compassionate abortion care that honors each patient’s dignity and autonomy. We trust women to make the best decisions for themselves and their families, taking into account the full complexity of their lives that we cannot fully know. Instead of yet another attack on the right to a safe and legal abortion, Governor Herbert and the legislature should focus on improving women’s health. They should increase access to birth control through Medicaid expansion and maintaining the ACA no co-pay provision for birth control. They should work to reduce air pollution, which increases the risk of miscarriage and reduces the long-term health of our children. They should work to reduce the high maternal mortality rate in Utah. We need to trust women to make the decision that is best for them, their family, their health, and their life. Abortion is health care. Reproductive freedom is a human right. We will keep fighting so that all Utahns have the freedom to live their best lives. Read our FAQ about this legal challenge here.